CHRISSY Rouse has become champion of the Triumph Triple Challenge with an unbeatable 71-point lead. The 17-year-old Geordie took his 10th win of the season at Silverstone yesterday. Although Rouse qualified third, Aleix Aulestia, in pole position, crashed on the first lap. The drama continued as five other riders also went down on the initial lap. A three-way battled then emerged between Rouse, Freddy Pett and Phil Atkinson. As Rouse retook the lead from Pett, he crossed the line and set a new lap record, which Cup Challenge Championship rider Scott Picthers broke moments later. Pett finished second, with Dan Helyer taking the last position on the podium in third. 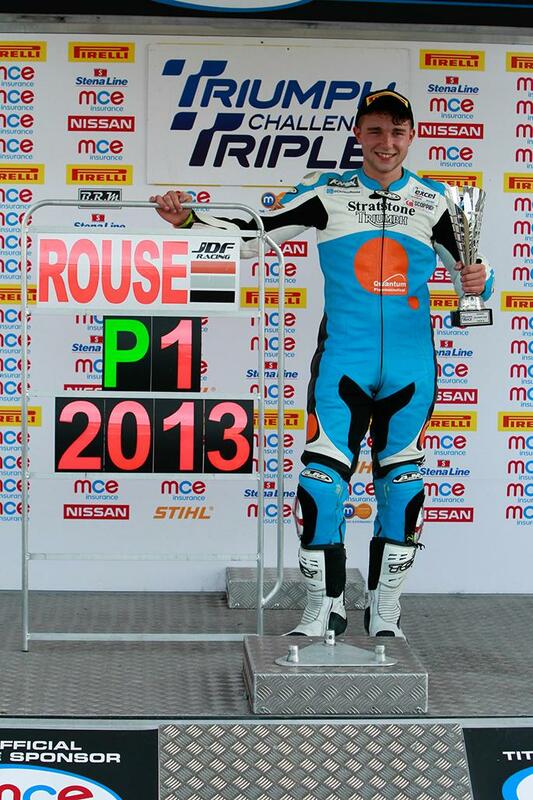 Rouse said: “It was a very difficult race. I was under strict instructions from the team not to do anything stupid which I didn’t really do. I made a few stupid moves where I probably could have crashed but I was just so determined to win the race. I’m just delighted it worked out, with all my friends and family here as well – it’s just mega. One round of the series remains, at Brands Hatch in two weeks’ time.